Happy Wednesday, my Electric friends! This week’s interview features two authors with books for younger readers coming out in less than a month, ahhh! Let’s dive right into their spacey, super-powered adventures. Author-Illustrator Jonathan Roth is a public elementary school art teacher who lives in Rockville, Maryland, with his wife, two kitties and three (or more) bicycles. Though Jonathan has never left Earth himself, he has met four of the astronauts who have gone to the moon. Beep and Bob is his first series. BEEP AND BOB, out March 18 from S&S/Aladdin, is a funny and action packed chapter book series about the new kid at space school and the devoted little alien who won’t leave his side. In book one, Too Much Space!, Bob, with his new buddy Beep, finds himself having to navigate such galactic hazards as icy dwarf planets, massive black holes and a crush on a smart, cool girl. In book two, Party Crashers, Beep and Bob get a much needed break while attending their friend Lani’s birthday party…aboard the Starship Titanic!Lora Hyler lives in Wisconsin, and has visited many distant lands both in person, and in her imagination. She has an uncanny love of artist and writer residencies. To date, she’s spent time writing on Martha’s Vineyard, Mass. (twice) and in Marnay-sur-Seine, France, a village of 240. Her next scheduled residency is in February 2019 in Cassis, located in the south of France. She’s the owner of a 16-year-old public relations and marketing company. 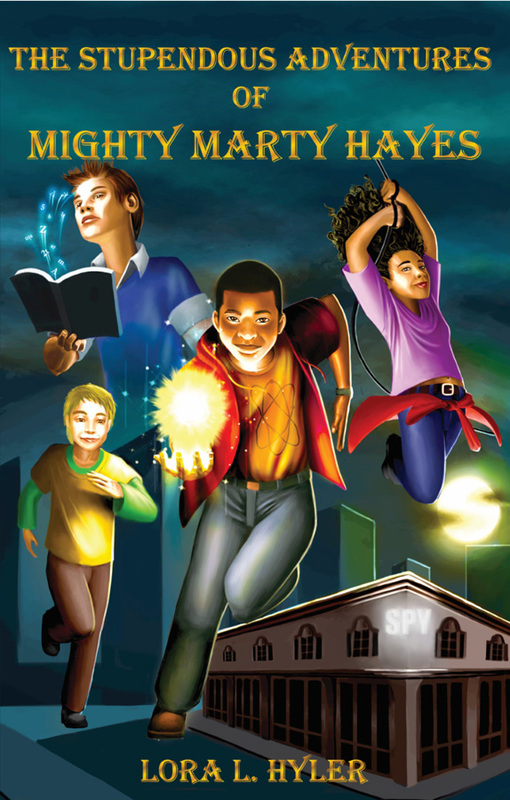 THE STUPENDOUS ADVENTURES OF MIGHTY MARTY HAYES debuts March 6 from HenschelHAUS Publishing. The novel, the first in a three-part series, features multicultural superheroes who work on the CRISPR-Cas9 gene editing technology in their 7th grade classroom. They also love spy gadgets. When international goons threaten the technology, the battle is on at the International Spy Museum in Washington, D.C. Who will win? International goons or the nerds of Advanced Science 303? Jonathan: How did you come up with the idea for your novel? Lora: My son, William, was the inspiration. As he grew, I watched his interaction with his multicultural friends and the easy, joking chatter of boys. I wanted a novel to appeal to a lot of kids, and began toying with the idea of superheroes, science, spy gadgets, with a little history added for good measure. After a visit to the International Spy Museum, I was hooked. Lora: How did you come up with the premise of your book and the character’s? Jonathan: The idea for an average and easily terrified kid being mistakenly chosen to go to school in space, and only getting by with the help of an even more lost little alien, came to me surprisingly formed. But that was after a dozen or more years of writing picture books, middle grades novels, having a first agent, having almost sales in big places, etc. By putting in the thousands of hours, remaining open, and letting go of expectations (part of me really wanted to give up by this point), I was in the space to be able to reel this one in as it floated by. Jonathan: Was there ever a point you felt like giving up? How did you push through? Lora: I’m a resilient person and hate to fail. At some point, when you start telling people you are writing a book, they keep asking when it’s going to come out. I kept those voices in my head when I thought of giving up. I was also excited about reaching the finish line. Lora: How do you juggle writing with your duties as an elementary art teacher? Jonathan: Teaching 600+ enthusiastic young kids a week, and all that goes along with it, is rewarding but also very exhausting. Though I have worked on my books in the evening, my most productive writing and illustrating times are on weekends, holidays and breaks, notably summer, glorious summer. I write for the kids I teach, though, so I appreciate the overlap and at least know I know how to entertain the elementary crowd. Jonathan: You have a cool, dynamic cover. Did you have any say in it, and what were your thoughts upon seeing it completed? Lora: Thank you. I love my cover! I actually found the illustrator in Barbados via the Internet. He is supremely talented. We hired him and I worked with him throughout. This is a great benefit of landing a small publisher (HenschelHAUS Publishing, Inc.) I had strong feelings about how I wanted to depict my team of superheroes. Lora: What’s been the best part of this journey so far? What about the hardest? Jonathan: The best part of my journey has been finally feeling like I’m a contributing member of a community I’ve been part of for many years, first as an SCBWI conference attendee, and now as someone who can somehow be called “author”. 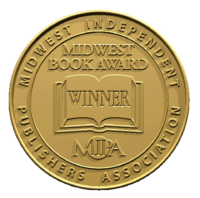 The hardest is knowing just about everything about how my books are received, promoted, sold, etc. are far beyond my control. How about for you? Jonathan: With your publication date near, what are your thoughts about finally getting your characters out into the world? Lora: I can’t wait, March 6 is days away! I have many school visits, conferences and book festivals on the calendar already. And as a member of the Society of Children’s Book Writers, I’m happy to share a Book Birthday with Baptiste Paul and Tomi Adeyemi, to name a couple of fellow authors. It’s thrilling. What about you? What’s your favorite non-writing/reading hobby or interest? Lora: I love to travel. My artist and writer residencies have scratched this itch, in a big way. I plan to continue to discover distant lands. It should be no surprise that one of my favorite childhood books was Pippi Longstocking by Astrid Lindgren. What’s something about you that people might be surprised to find out? Jonathan: Most of what I read is aimed at kids, but I very rarely watch kids’ movies or TV. Lora: I love music, dating back to the 1930s and prior. I am exploring song lyrics and liner notes, along with poetry by African-American artists, and have been selected for an April national conference presentation on the subject. I plan to bring a record player! Jonathan: Home, at my desk. Lora: A quiet spot in my home with music playing. A coffee shop. A library. A writing studio at a residency location. What’s the oddest thing you’ve learned in life that helps you in writing? Jonathan: My creative brain needs lots of body movement (walks, bike rides, house cleaning) to stay primed. Lora: We have the brain cells to learn anything. We have to put in the work. Trust our imaginations and trust the process of creating fiction. For children of all colors, I love being able to create a better world for them to experience, to know that anything is possible. Thanks so much, Lora and Jonathan! If you, too, would like to nerd out with your very own Electric buddy, you can! Just fill out this form on Google docs and a facilitator will be in touch when it’s your turn. The sweet spot for these interviews seems to be around 800-1,500 words for both people combined, so it’s relatively painless. If you have any questions, feel free to ask us at <electric18interview@gmail.com >. Go forth and be Electric!